They live in the most extreme places on earth. How do they survive? Pinguins puke (their chicks love it! ), chameleons have a super tongue, alligators have good "feelings," a master of disguise, and how to catch a rainbow! Five fascinating animal secrets and how scientists uncovered them. SECRET OF THE SLEEPLESS WHALES...AND MORE! Society of School Librarians International Honor AWARD IN SCIENCE 2008! The fascinating life of the 19th Century British doctor who discovered the first safe vaccine against smallpox, the most deadly disease of his time. Interested in my talks for your library, school, museum or other institution? Or maybe for a special event? Contact me here! Ana María was born in Buenos Aires, Argentina on February 27, 1958. She is the daughter of Spanish immigrants who moved to Caracas, Venezuela, where Ana María grew up. In 1979, she graduated from Simón Bolívar University in Caracas, with a bachelor's degree in Biology. From 1980 to 1982 she completed her master's degree in Biology at the Venezuelan Institute for Scientific Research in Caracas. 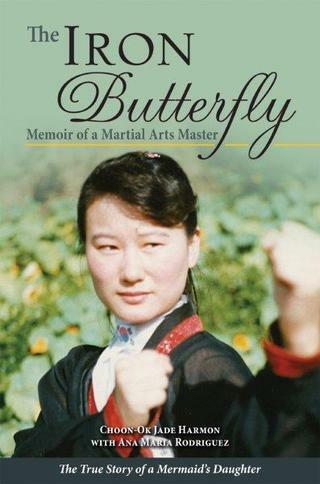 After graduation, she enrolled in the doctorate program in 1983. She received her Ph.D. in Biology and Immunology from the Venezuelan Institute for Scientific Research. In 1987, Ana María moved to the United States and worked on her first postdoctoral training at the University of Texas, Southwestern Medical Center at Dallas. Her second postdoctoral training was at the University of Texas, Medical Branch in Galveston. She worked one year as an Assistant Professor at the Department of Biology of the University of Tulsa, Oklahoma. By the year 2000, she had published about twenty articles in science journals about her research. Besides doing research in the fields of Biology, Microbiology, Immunology, Genetics, Cell Biology and Biochemistry, she taught basic and advanced theoretical and laboratory courses in those areas for graduate and undergraduate students. In the meantime, she was also a volunteer scientist in the children’s SCIENCE-BY-MAIL program sponsored by the Museum of Science in Boston until the program terminated in 1999. As a volunteer scientist in this program, she received science reports written by Intermediate School students about experiments assigned beforehand. She went over their reports and wrote back to the students with my comments and suggestions. In 1999, Ana María became a full-time children’s science writer and her first published article appeared in YES MAG: Canada's Science Magazine for Kids ("Some Love it Hot!"). By October 2007, she has published about 80 articles in children’s magazines like Highlights for Children, Yes Mag: Canada’s Science Magazine for Kids, KNOW, SuperScience, and Current Health 1. Four of her articles have been reprinted in SIRS Discoverer databases for schools, one in First-Time Authors, a book anthology published by the Institute of Children’s Literature, and another one by the Minnesota Comprehensive Assessments Field test in 2004. Her articles have also been republished by Educational Testing Services and Pearson’s Educational Services in 2004, CTB/McGraw Hill in 2004 and 2005, Harcourt Assessment and West Educational in 2005 and 2006, and People Publishing Group in 2006. More are coming in 2008. Her work has also appeared in the adult magazines Petersen’s Hunting, Just Labs, and Equus. Some of her work appears under the pen name of Mariana Relós. One of her first published articles, “The Kids Who Fought Smallpox” (May 2000), received the Highlights for Children History Feature of the Year Award 2000. 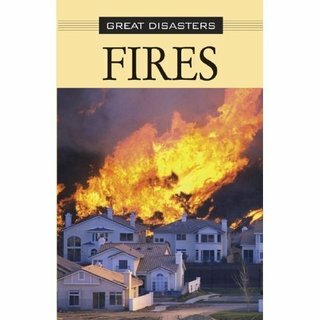 Ana Maria is the author of six books for children: "Fires," published in October 2003 by Lucent Books (for Elementary and Intermediate School children) and a second book also titled "Fires," published in January 2004 by Greenhaven Press (for High School students). 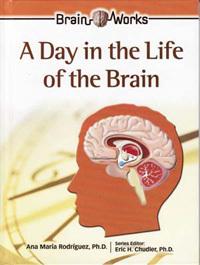 Ana Maria's fourth book, "A Day in the Life of the Brain,(Chelsea Publishers) appeared in January 2007." 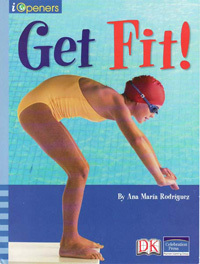 In the summer of 2007, "Get Fit!" 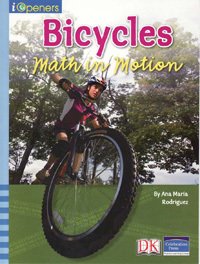 and "Bicycles Math in Motion" were publshed by Pearson Learning Group. She also translated the Atlas of Anatomy from Spanish to English in 1997 for Barron’s Educational Series, which is still in print. She’s currently working on a 6-book series and one more book, which will be published late 2008. 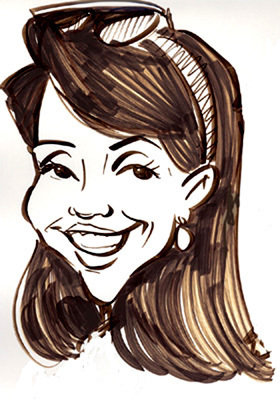 Ana María is an active member of the American Association for the Advancement of Science (AAAS), The Authors' Guild, and the Society of Children’s Book Writers and Illustrators (SCBWI), National and Houston Chapter.She lives with her husband and two sons in Houston, Texas. "The Kids Who Fought Smallpox." 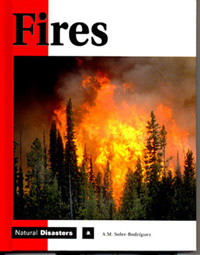 Published in Highlights for Children, May 2000. 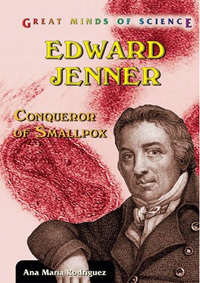 "Edward Jenner Conqueror of Smallpox" (Enslow Publishers, 2006). 1. During Summer of 2007, I became a partner of the Houston Health Museum and participated in their "Sweet Summer Series" during their exhibition of "Candy Unwrapped." I gave 4 talks on how living creatures, from microbes to people, "smell and taste" things.I used Power Point to suport my talk with lots of illustrations and brief text. I complemented my presentation with a reading of one of the chapters of my recent book "A Day in the Life of the Brain." Kids and adults had a lot of questions! I participated in their College Bound Culture program for Grades 3 and 4, which is focused on motivating and encouraging young students to enroll in college when their time comes. My talk was about my college experiences and how they prepared for my future as a professional scientist and now a writer. I met members of BAWL at Barnes & Noble in Clear Lake for a talk about how I became a writer. 5. Harvard Elemetary School, Houston. Participated in "Science Night" with two talks, one for a 3rd Grade class and one for a 4th Grade class. I presented how I 'evolved' from scientist to children's author. There was a book sale and signing at the end. I talked to two groups of students. The youngest students were in 2nd and 3rd grades and I presented "Looks are the 'Mane' Thing" which shows how scientists discovered the purpose of the lion's mane. My second talk was for 5th and 6th grade students. 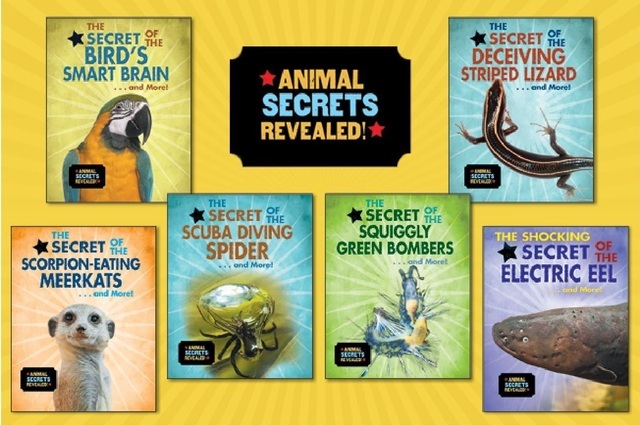 It was "The Diving Dolphin's Secret", which is about how scientists discovered how aquatic mammals are able to dive so deep, much deeper than people without diving equipment. At the end there was a book signing. With colleagues from the Society of Children's Book Writers and Illustrators (SCBWI) Houston chapter, I participated in book signings, the promotion of school visits, and networking with librarians, teachers and authors in our booth. We had numerous visitors that participated in the drawing of two baskets filled with books from SCBWI-Houston members. It was my first time at TLA and I enjoyed the experience very much. Book distributor FOLLETT organized a book signing for my book "Secret of the Sleepless Whales...and More" (Enslow Publishers). I signed about 100 books and distributed my brochure with information about all my books and school visits. It was a wonderful experience seeing so many librarians and teachers interested in promoting science for children! 9. Interview at Blog Talk Radio-Book Bites for Kids with Suzanne Lieurance. This was a wonderful opportunity to talk bout my books and my work as a writer. You can listen to the interview in clicking in the link below. Now posting "EARTH DAY COUNTDOWN! A series of posts paving the road to Earth Day on April 22! "It's not easy being a meerkat pup."